Thank you for another piece of our family history. This site is is wonderful and I am very grateful to you Charles. You can add your own comments to the above. Please validate your input by answering the question below this image. 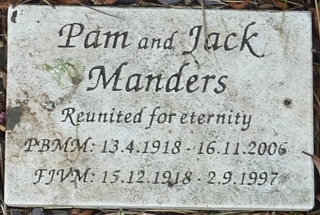 When did Pam Manders die?